Join us in helping to support the Boston Children’s Hospital Blood Drive. 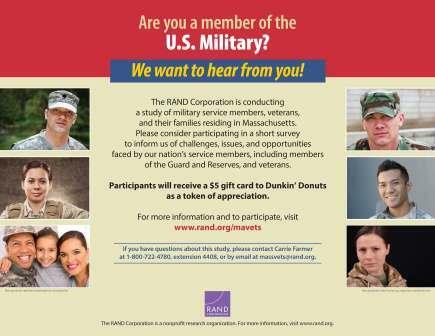 To make an appointment or call (617) 355-6677. Mark your calendars – November 12, 2016… Join Thanks To Yanks in cooperation with the Fillmore-Nason VFW Post #8049 and our major sponsor the Downtown Cafe for the 1st Annual “Never Forget” Veterans Day 5 Miler Run. 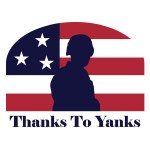 This year is the 10th Annual Thanks To Yanks 9/11 Tribute Dinner. This dinner open and FREE to all military members, veterans, their families and emergency response personnel; it is simply our way to recognize and thank them for the sacrifices they make in order to ensure our freedoms and safety. The first dinner hosted 120 guests and has continued to grow each year with 425 guests in 2015. This year’s Dinner is Sunday, September 11, 2016 from 5:00 pm – 7:15 pm at the DoubleTree by Hilton, 11 Beaver Street, Milford, MA 01757. Click here to register for the 9/11 Tribute Dinner. 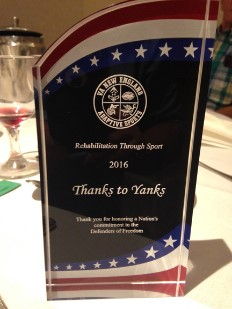 Thanks To Yanks is honored to have received this recognition award in our support of the weeklong VA New England Summer Adaptive Sports Clinic, co-hosted by the MA and RI VA hospitals.